A 12-hour “research-a-thon” in Montreal responds to U.S. President Donald Trump’s executive order last week that indefinitely bans refugees from Syria from entering the United States and put a 90-day freeze on people from other countries. 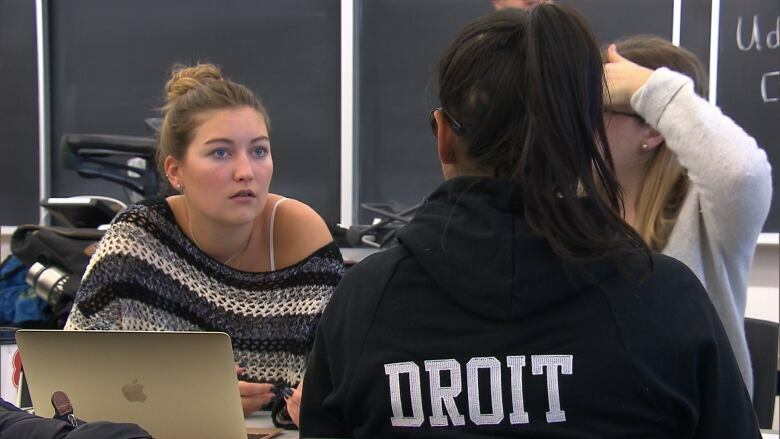 Law students in Montreal and across Canada directed their collective brain power Saturday toward researching legal arguments that could help refugee claimants trying to get into Canada from the United States. The 12-hour "research-a-thon" responds to U.S. President Donald Trump's executive order last week that indefinitely bans Syrian refugees from entering the United States and put a four-month freeze on refugees from other countries. The order also put a three-month hold on all visits to the United States from seven predominantly Muslim countries. Co-organizer Brodie Noga, who studies law at McGill University, said he was inspired to act by the freeze on refugees and his work with an Iranian citizen who was refused entry into the United States under the ban. "I don't feel that it's right that Canada be complicit in any way with these refugee bans," he said. Refugee advocates in Canada say Trump's executive order casts new doubt on Canada's Safe Third Country Agreement with the United States, which holds that the U.S. is a safe country for refugees and restricts those who can claim refugee status at the land border between the two countries. 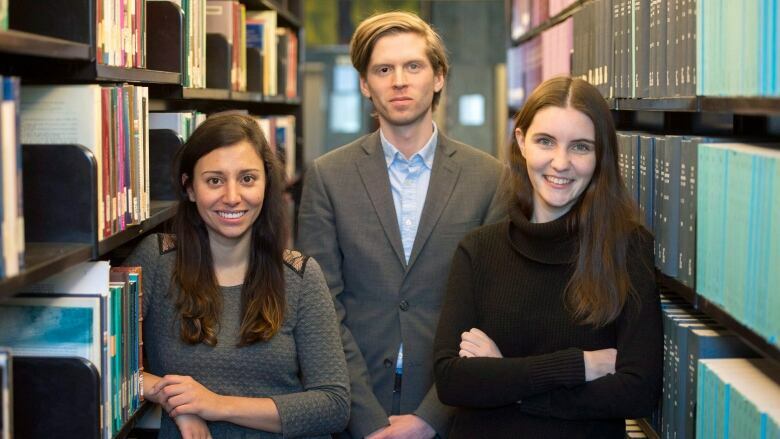 The 700 students from all 22 of Canada's law schools who signed up were tasked with researching possible legal arguments against the agreement, which could block refugees turned away by the U.S. from asking for refuge in Canada. The research will assist the Canadian Council for Refugees, which has long held that the agreement is unjust and forces many refugee claimants to find riskier ways into Canada to claim asylum. Canada's Immigration Minister Ahmed Hussen said last week the agreement will not be revisited, despite mounting pressure on the government to do so. Advocates urge protection for refugees who enter Canada via the U.S. The Montreal contingent numbered around 200 students from McGill, Université de Montréal and the Université du Québec à Montréal. Participant Niousha Riahi, a Canadian originally from Iran, one of the countries targeted by Trump's order, says she was motivated to join by seeing the effect the ban had on her family and friends. U.S. President Donald Trump put an indefinite hold on Syrian refugees being admitted to the United States. 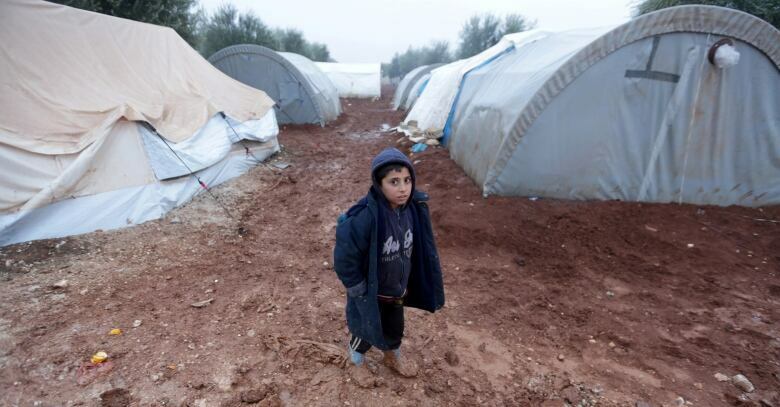 (Khalil Ashawi/Reuters)"I saw my friends, the family of my friends, destroyed in one day," she said. "If someone can make a decision in one day to change your life, where is the limit?" Co-organizer Rachelle Bastarache said the event's aim is to hold Canadian Prime Minister Justin Trudeau accountable for his assertion on Twitter in the wake of Trump's ban that Canada "will welcome" refugees. "If we're going to send out tweets that we're welcoming refugees, we want to make sure that we are welcoming refugees, and that we're welcoming all refugees," Bastarache said. "Canadian law students agree with that, and they do not agree with the Safe Third Country Agreement."